Paul A. Young brings together an exciting flavour mix in these alcoholic truffles, with fragrant peppermint oil and potent absinthe for contrast. 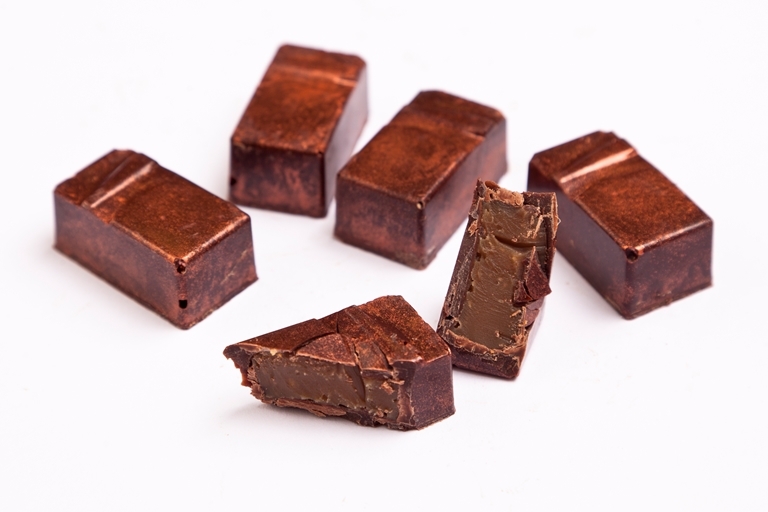 If you can't get hold of chocolate shells and edible metallic powder, simply allow the ganache to set in the fridge and roll into truffles - you can still have fun experimenting with different flavoured coatings once they're rolled.